Friendships, quilts and blogging...the three go together like...apples, cinnamon and brown sugar! A trio of goodness! First, Edyta Sitar has a new book out called Friendship Strips & Scraps. The quilt projects are stunning. The photography in this book makes every page look magical. There isn't one project in this book that I DON'T want to make! 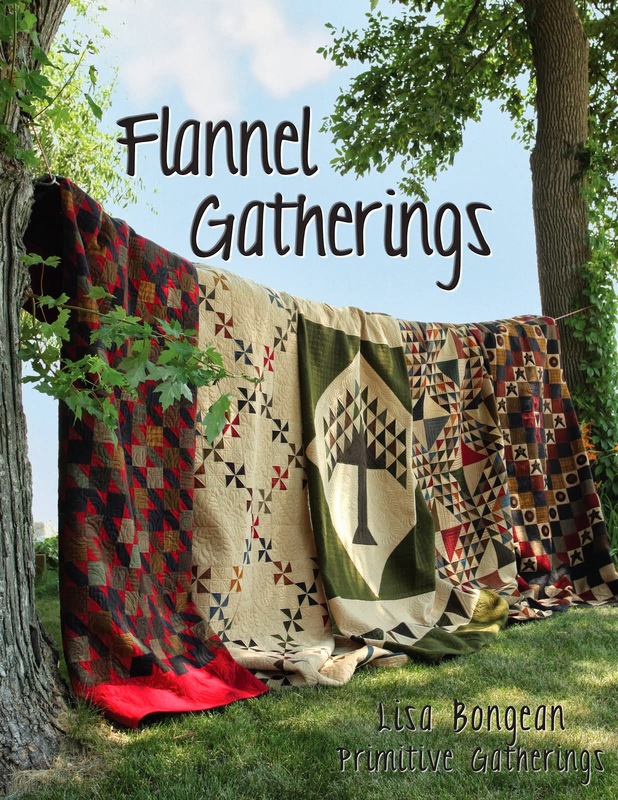 Edyta will be at the shop, Quilts at the Marshall House Saturday to promote her new book and a book signing! She will be at the shop from 12-1 PM Saturday. I will be working that day too, so if anyone will be in the Marshall, Michigan area Saturday, please stop in! I'd love to meet some of you! We are fortunate that Edyta is local to us. I am very excited for the event. Starting in January, another gal that works at the shop, Pat and myself will be starting a "Friendship Sit n Sew" the fourth Saturday of every month based on this book. It'll be a fun day of exchanging strips from your stash, sewing and meeting new and old friends. I am going to work on the quilt that is on the cover of the book. It's so beautiful! Most wonderful Carol of Brown Quilts sent me a copy of "Mon Ami" Schnibbles, which is the January project for Le Petite! She had an extra copy and was kind of enough to send it to me! Thank you so much, Carol! I was so happy when I opened the mail to find it because it proved to my husband that my blogging friends really DO exist. It's been kind of an ongoing joke with my family. They tease me that all my blogging friends are "make believe." LOL! I also have learned so many tips from the wonderful comments I have received. Stephanie, aka Mama Pea, of Peas In A Pod left a comment on my Gingerbread Spice Boys post, "...I would be tempted to stuff them with some cinnamon and cloves to make them smell as good as they look! :-)" Genius!! What a wonderful suggestion. I'm going to try that on my next set! Stephanie, as it turns out, only lives about an hour from me, so she is coming to the shop on Saturday. I'm so excited to meet one of my new friends! So far it seems she and I have a lot in common. Blogging has added a wonderful new dimension to my love of quilting. Blogging friends are kind of a modern day pen pal! BTW, my sister, Kristin also left a comment yesterday. She is convinced I'm making the bluebird penny rug for her kitty Scooter! I'll give you a hint...it's probably not for Scooter. LOL! Scooter's favorite place to take a nap is on my "Redware Crow Mat." Whenever he stays, I constantly have to lint roll my mat. He loves Primitive Gatherings Wool as much as I do! Edyta is a wonderful designer and you are so lucky to have her close by!! Oh, I wish I lived closer so I could me yo and Edyta. I have not seen that book yet. Love the cover. Have fun on Saturday. And I had to chuckle over Scooter liking the wool mat so well. Expensive taste! 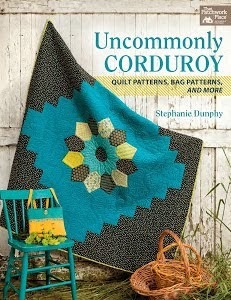 That is a beautiful quilt on the cover, looks like a wonderful book. Blogging friends are THE best. I'm so glad you're enjoying blogging. Cinnamon and cloves...clever indeed. Blog friends reminds me of parental comments on their childrens friends..."what one doesn't think of, the other one will". ES is such a fabulous designer, I can't wait to see this book! My word verification for the last comment was, "hooked". How well blogger knows me! That is so funny about imaginary friends! What a nice Schnibble giftie! Your new book looks like it's going to be lots of fun... I've got to go find one now! dang it! I let Scoot know the news....he wasn't too upset. He let me know he prefers kitty treats, catnip and pom-poms for X-mas anyway...so no worries! How cool that Edyta is a local gal for you, Linda! I would want to make that cover quilt, too! It's really a very small world out there for we bloggers, and getting smaller all the time - definetely not imaginary - LOL! Have fun on Saturday and don't forget your makeup (wink)! Your book looks like fun! And you get to meet the author! I may have to do the Schnibbles quilt with you...it's sew cute. Ohhh that book looks so tempting! And I agree.... when I started blogging, it made my quilting even more enjoyable and I became so much more knowledgable about what is out there! Linda, I can't wait to meet you! The book looks awesome! This is the first time I have seen it. I would love to try to get involved in your sit 'n sew group!!! I would love to exchange with you. I need to make a quilt for a close friend who I just learned needs a liver transplant. I was thinking I'd try to do something out of this new book, perhaps. Thanks for the link! I can't wait to see you Saturday. I'm bringing my camera so I can blog about YOU next week! Speaking as one of your imaginary friends, I think that book looks great. I wish I lived near enough to join in your sew-ins at the shop. Blogland is a wonderful place! Have tons of fun on Saturday...can't wait to see pictures. That book just looks awesome! I had no idea she had a new book out! And I just love, love, love this cover quilt too! I"ve got to get me that book!